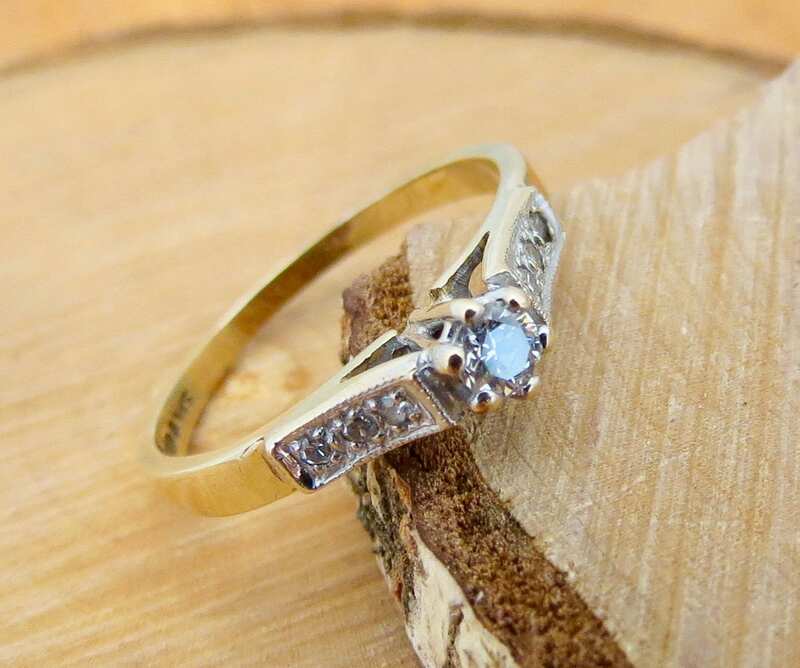 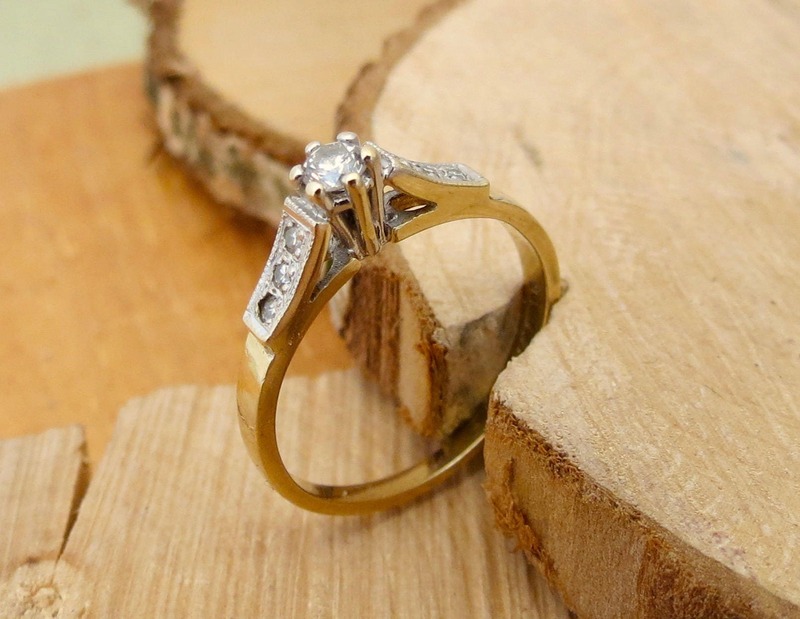 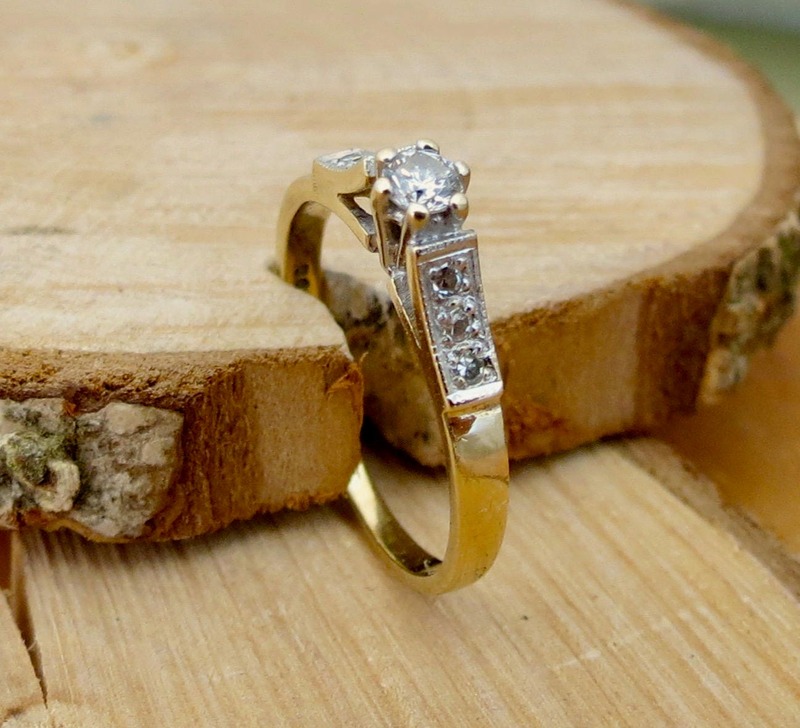 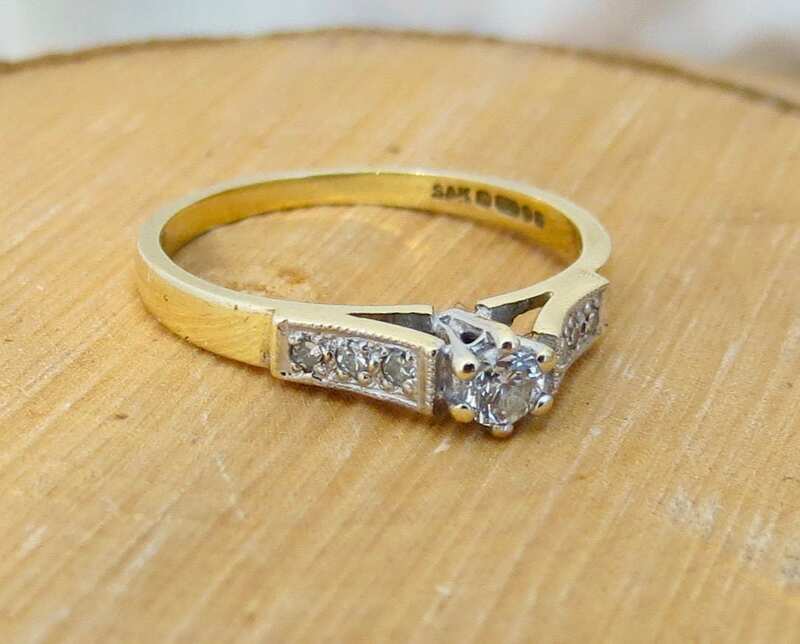 1/10 Carat diamond solitaire 9k yellow gold ring. 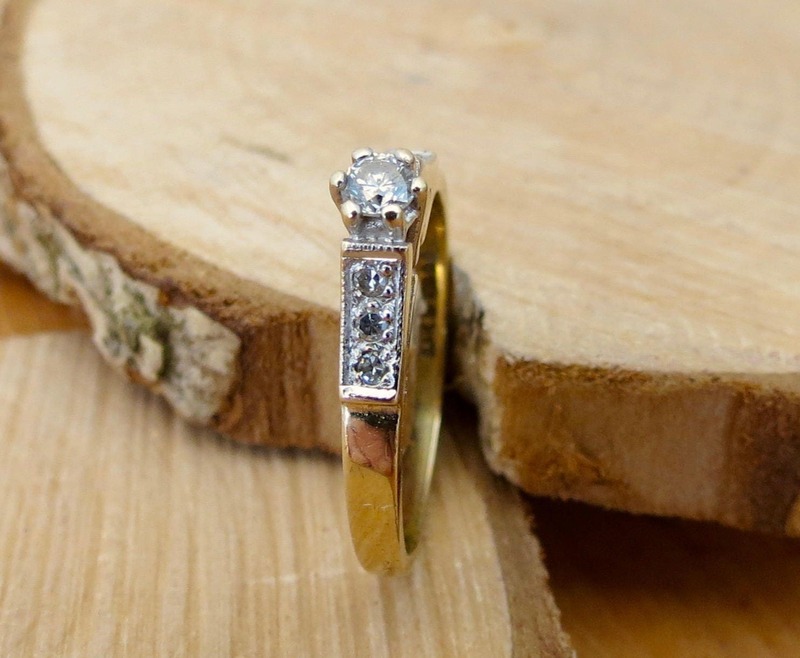 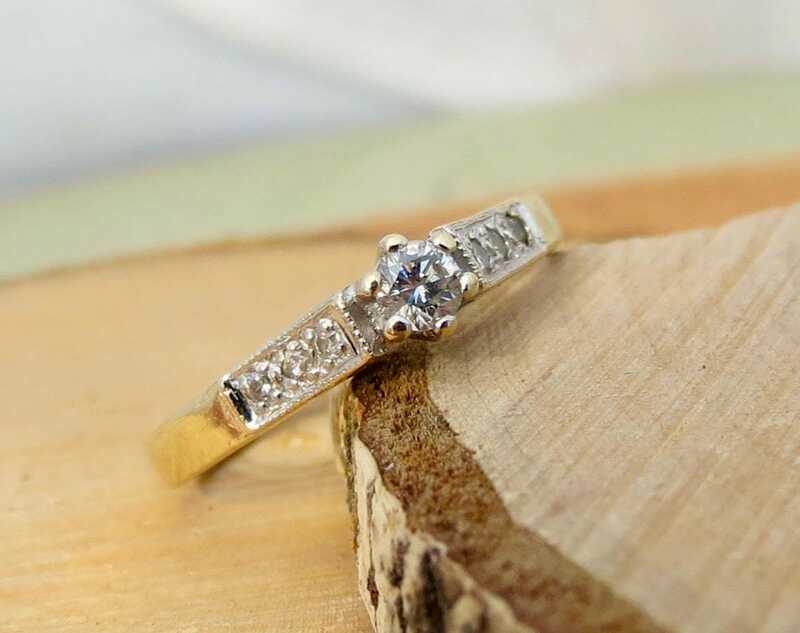 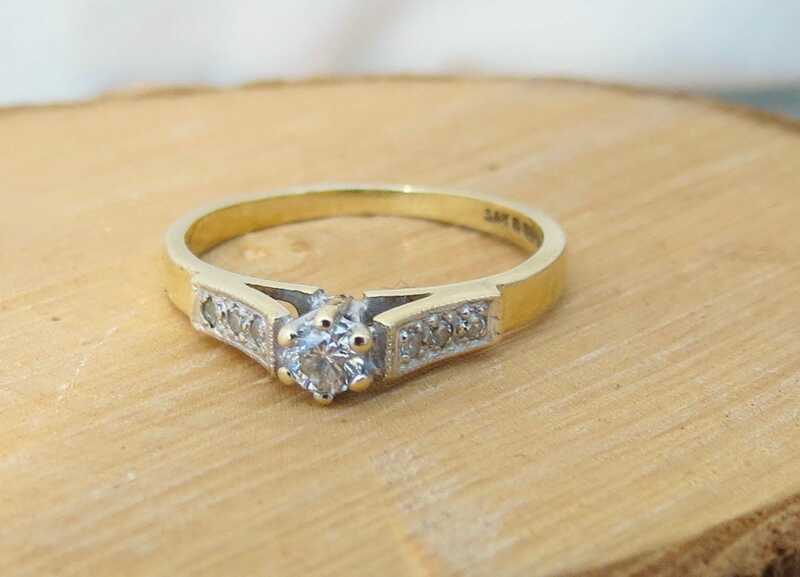 This 9k yellow gold ring has a 1/10 Carat brilliant cut solitaire diamond in a crown setting diamond accented high shoulders lead to a flat profile band. 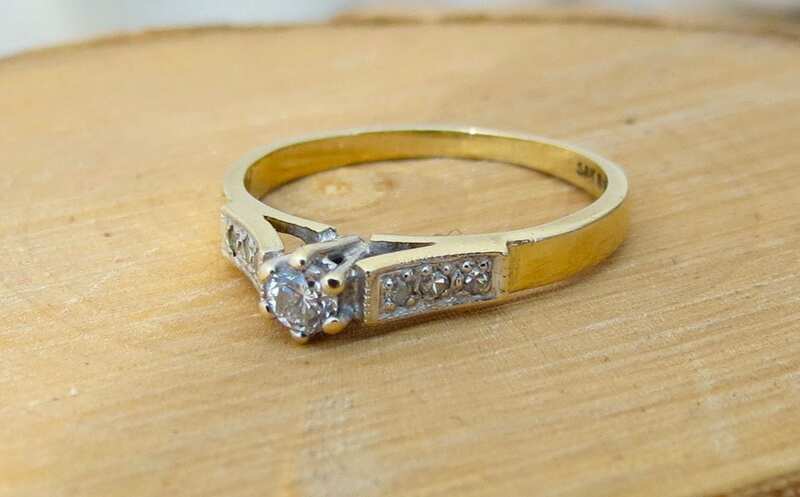 Diamond weight 0.10 carat, colour I-J, clarity S12 clarity. 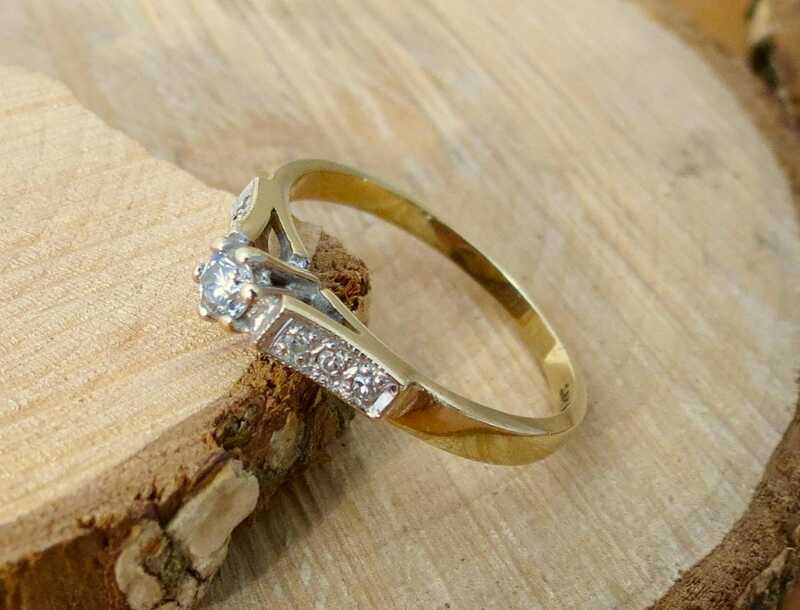 Or if you prefer I can have my goldsmith resize it for you at an additional cost from £20 ($30) simply add the resize my ring listing to your cart before going through checkout.